With all the new ways there are to communicate with a prospect, print is still a preferred marketing channel. For good reason – printed direct mail still has up to 100% reach! Apart from this fact why should marketers keep print in their marketing tool box? Print Solutions Magazine gathered some convincing reasons to remind us that the simple answer to this question is yes! With global warming on advance, sustainability is a top priority for many companies and marketers in particular. The Print Solution’s article explains that based on Defra records the pulp, paper and print sectors account for only 1% of greenhouse gas emission globally. Compared to online and electronic media paper based products have the advantage of being recyclable and sustainable. The article goes on to discuss the lasting power of print compared to the myriad of messages that flood our email inboxes day by day. “Print leaves an impression, and makes an impression on multiple senses – sight, touch, smell. It is emotional, expressive and affecting rather than a bland, cold electronic screen”, the article notes. Another important print characteristic is trust. Most people still trust printed information more than what they see on screen. Even younger people see print as more trustworthy, finds a Kantar MilwardBrown survey of Generations X, Y and Z. Print is not only a trusted medium, it is also capable of creating a subtle form of communication through the sheer endless freedom of design. 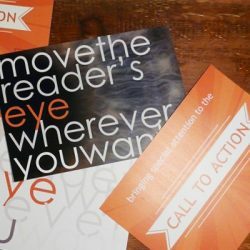 Many marketers value the many ways a printed direct mail piece can create a connection to the recipient. There’s much more to a printed piece of customer communication than the offer itself. The look and feel that supports the message can be created using different stock, sizes, colors and fonts. Growing up with electronic devices, print is something exclusive for many young people. Print is appreciated as something special, that people take time for in their day to consume. 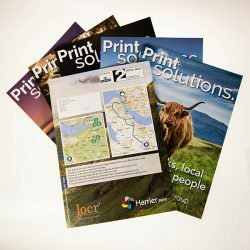 Adding to Print Solution’s list from a marketer’s perspective, print is the ideal channel to connect offline and online marketing efforts. In an article at WhatTheyThink, Heidi Tolliver-Walker lists online and social media follow-up as effective ways to track the success of print. 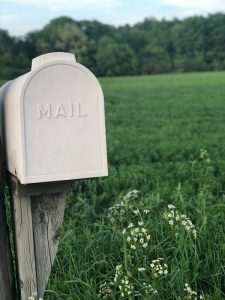 When connecting online to offline, it makes sense to not lose sight of your customer along the way—somewhere between getting a postcard with a pURL and going online to check your offers, but then not making a purchase. Personalization itself is not a new trend in marketing; today, it’s more of a marketing requirement. But with a myriad of online customer data – there’s a whole new horizon of print personalization opportunities to discover! Print can be highly personalized to fit a variety of business goals – from Pizza delivery flyers to premium event invitations. 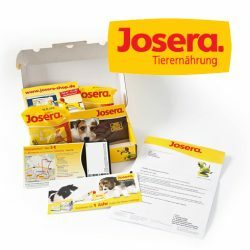 For example, pet food nutritionist Josera uses their website to generate customer data and then uses this data to create personalized direct mail packages. In doing so, the company creates a connection between online data and high-quality physical mailing pieces. 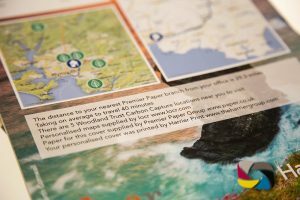 For the June edition of Print Solutions, publisher Earth Island wanted to show their readership what’s possible with digital print and variable data. 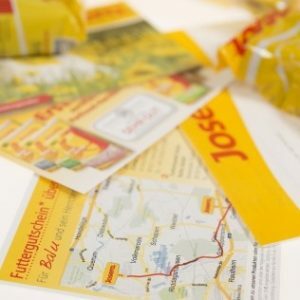 To take the issue beyond the normal forms of personalization, they turned to locr for geomarketing solutions. This one-off project not only created great engagement with Print Solutions readers but also demonstrated how companies in the printing business can highlight their unique selling proposition in a creative way. Get the new free locr Direct Mail Design 101 Guide to learn more about the features that make your next direct mail postcard a success!